FebruAIRy was all about pollution and the impacts of various forms of energy use on the earth’s atmospheric conditions. 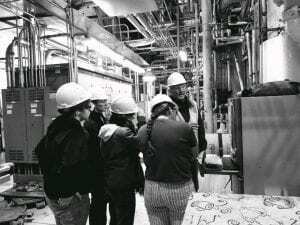 As part of this month’s series, members traveled to the East Campus Power Plant to receive a tour from the Superintendent of Steam Services, Paul Moser and learn about Penn State’s energy history, the current status, and future energy focus. Paul spent over an hour with members, taking us through the control room and showing us the boilers and storage units throughout the facility. An open discussion on the sustainability of natural gas was brought to light and reflected upon, as Eco Action has a history of persisting that Penn State take action to invest in more renewable energy (see History page and Paul’s standpoint on this issue here). Co-president Amelia Geiser looks at the system database screen outlining the plant’s production line. Combined Heat and Power plants generally operate the best when they are close to buildings and can have high pressure lines running directly to buildings. In Penn State’s system, green means that the boiler is not running, while red means that the boiler is on and is “dangerous”. 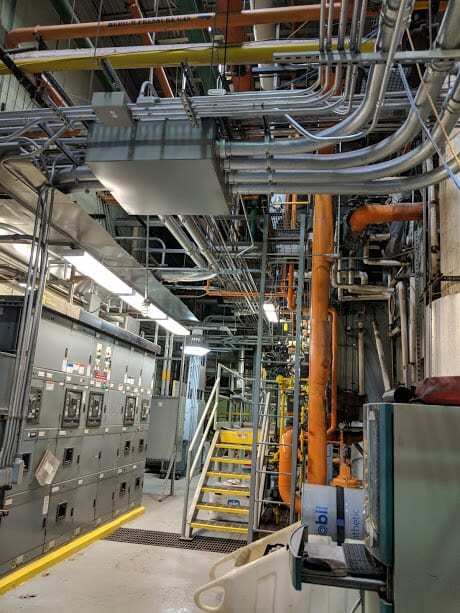 There is a plan to build a biomass plant that will process wood chips, animal waste, and other biomass through anaerobic digestion into biogas for the University behind the East Campus Power Plant. Following this visit, a new understanding of the educational and infrastructure challenges that Penn State is facing as they transition their energy sourcing became more apparent to members. There are considerable trade-offs when choosing the most economic and environmentally practical energy source for the present, while also thinking about meeting long term sustainability goals set by the University. 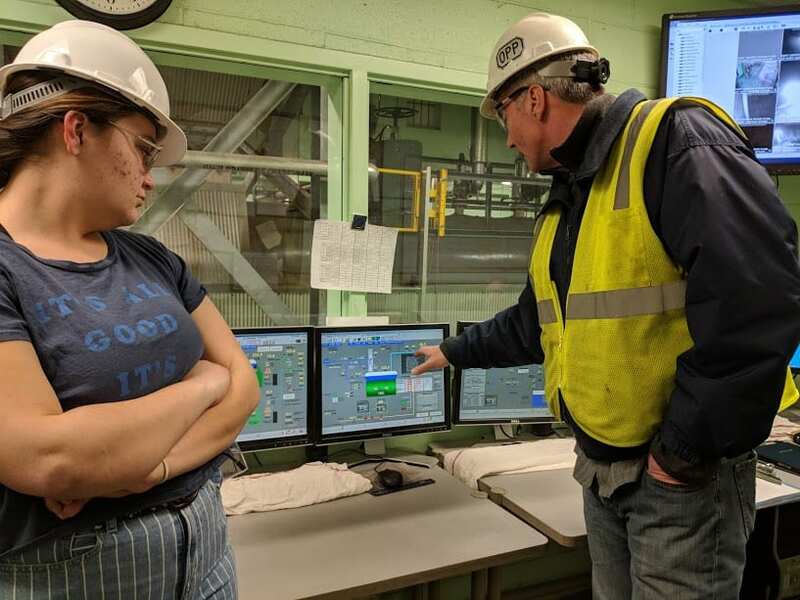 We appreciate Paul Moser and other Power Plant workers for taking the time to give us a tour of their operations- we are looking forward to the next visit!